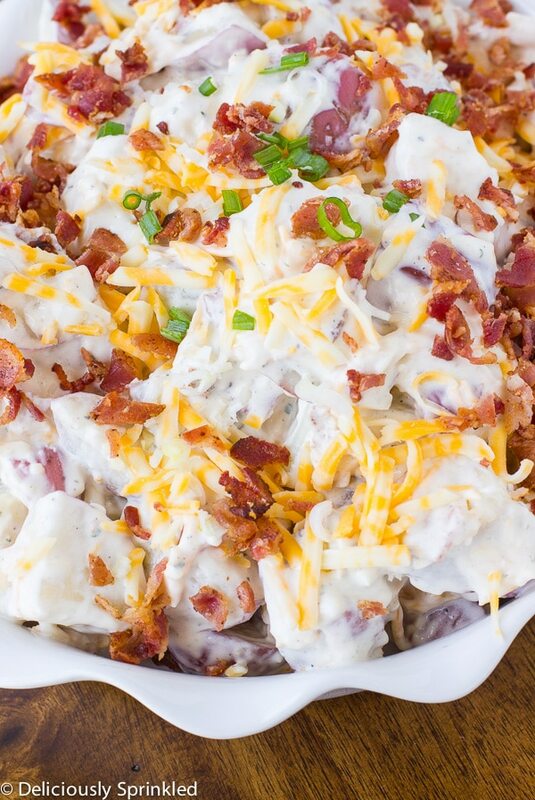 This quick and easy to make Creamy Bacon Ranch Potato Salad is the perfect side dish! How is it the LAST week of June already!? Summer is just flying by WAY too quickly! 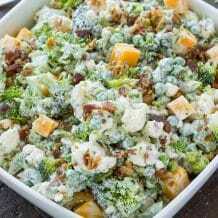 So before Summer is over (LOL), I want to share with all of you my quick and easy Creamy Bacon Ranch Potato Salad recipe. This is my go-to side dish if I need to bring something to a party last minute unless I’m bringing dessert which all my friends always request me to make my SPRINKLE Chocolate Chip Cookies. 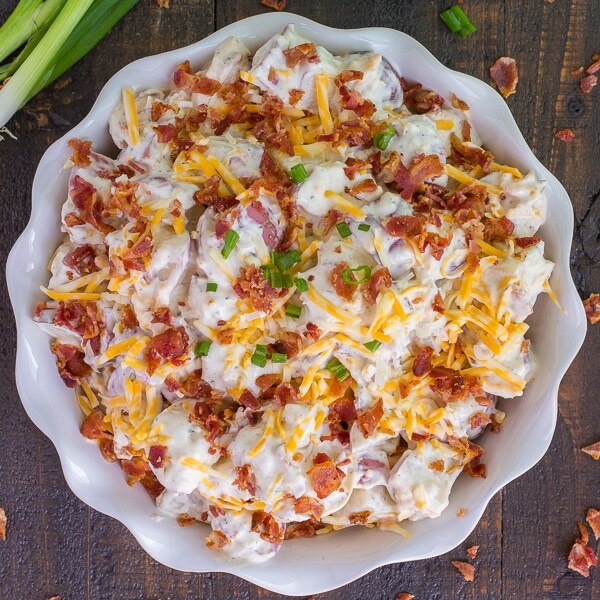 To make this Creamy Bacon Ranch Potato Salad, you only need 5 ingredients and most of the ingredients you probably already have in your fridge. And you know it’s going to be a hit with ALL your friends and family because who doesn’t love BACON. RANCH. & CHEESE! HOW TO COOK RED POTATOES:The potatoes should be cooked so they’re soft, and tender. Cook them until they are just tender when pierced with a fork. I like to cook the red potatoes for about 15 minutes. 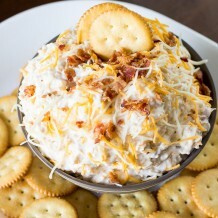 BACON: If I have time I cook the bacon in a skillet but if I need to make this potato salad quickly, I use the Oscar Meyer Real Bacon Recipe Pieces. They taste great and so much easier then cooking bacon, I don’t know about you but cooking bacon is not one of my favorite things to do. 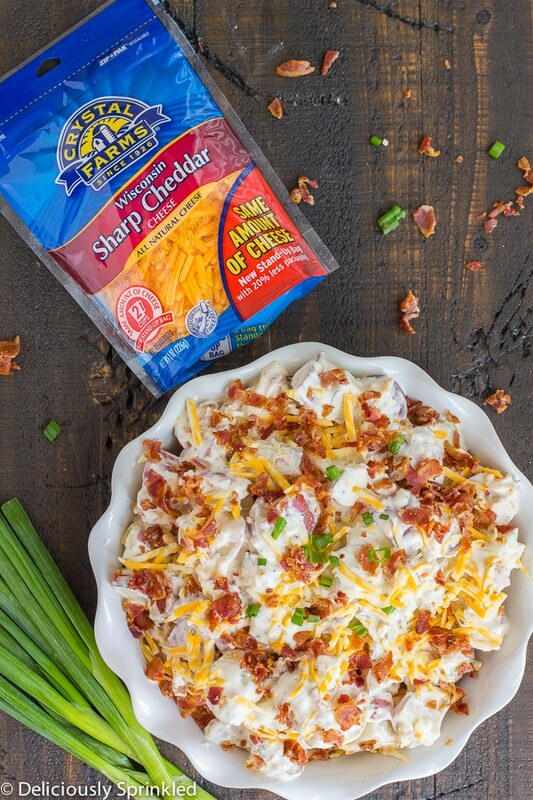 BEFORE SERVING: Right before I’m ready to serve, I like to top the potato salad with more bacon pieces, shredded cheese and scallions. 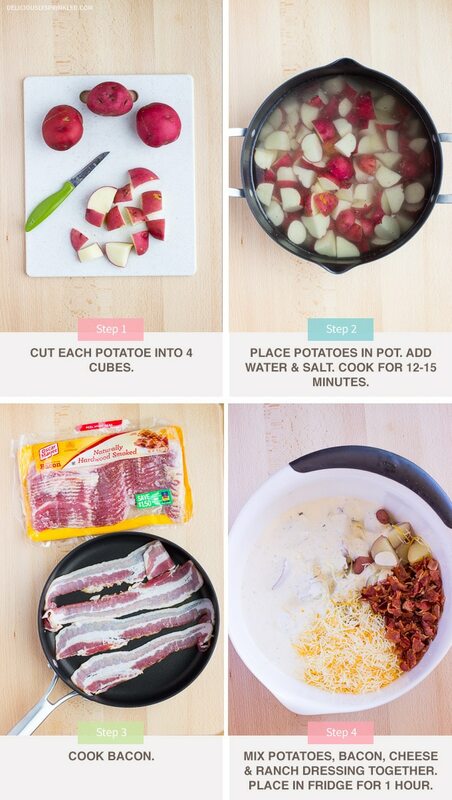 STEP 1: Cut each red potato into 4 cubes. STEP 2: Place potatoes in a 6-qt. pot; add water to just cover the potatoes. Add salt. Bring to a boil. Reduce heat; cook, uncovered, for 12-15 minutes or until the potatoes are tender. Drain potatoes and run cold water over them until potatoes are cooled. STEP 3: Meanwhile, in a large skillet, cook bacon over medium heat until crisp. Chop bacon. STEP 4: In a large bowl, add potatoes, ranch dressing, bacon and cheese. 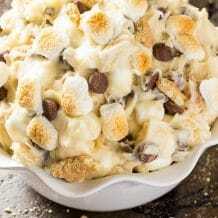 Mix together. 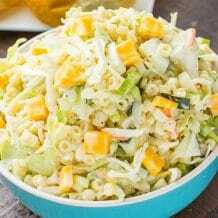 Place in refrigerator for at least 1 hour. Top with more bacon, cheese and scallions before serving. 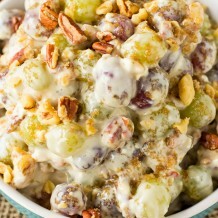 *STORE: Place leftover potato salad in an airtight container and store in refrigerator up to 4 days.